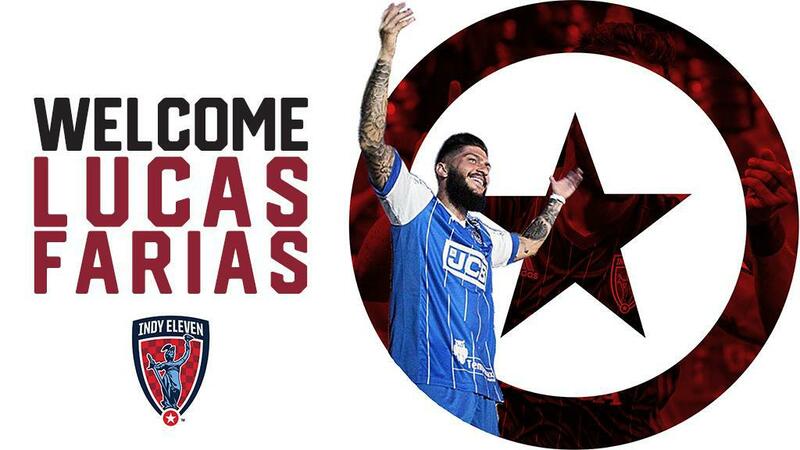 Indy Eleven Professional Soccer is pleased to announce the signing of defender Lucas Farias ahead of the 2019 USL Championship season, pending international transfer clearance, league and federation approval. Farias, a native of Sāo Paulo, Brazil, played for Brasileirāo Série B side Esporte Clube Sāo Bento in 2018. The move to Indiana’s Team marks the first time 24-year-old has signed for a club in the United States. Farias began his senior career with Sāo Paulo Futebol Clube (Brasileirāo Série A) in 2012. Since then, the defender has spent loan spells with Boa Esporte Clube (Brasileirāo Série B), Clube Náutico Capibaribe (Brasileirāo Série C) and Grupo Desportivo Estoril Praia (LigaPro). In 2013, Farias was called up to the Brazil Men’s national team U20 squad to participate in the 41st edition of the Toulon Tournament in France. Brazil finished in first place, earning the team’s seventh title since the tournament’s inception in 1967.